Bosnia is located on the Balkan Peninsula. With a population of more than 3 million people, it is one of the most frequently visited countries in the region. Bosnia is an enchanting destination where East-meets-West. Mountain landscapes afford visitors a dream vacation in this idyllic location. Popular attractions include Baščaršija in Sarajevo and Monument Stone Sleeper in Zenica. Cheap flights to Bosnia are now available for a limited period of time, so prepare to be amazed by this natural wonder of a destination! The capital city, Sarajevo, is the home of Sarajevo International Airport (SJJ), which is a 20-minute drive from the city centre. 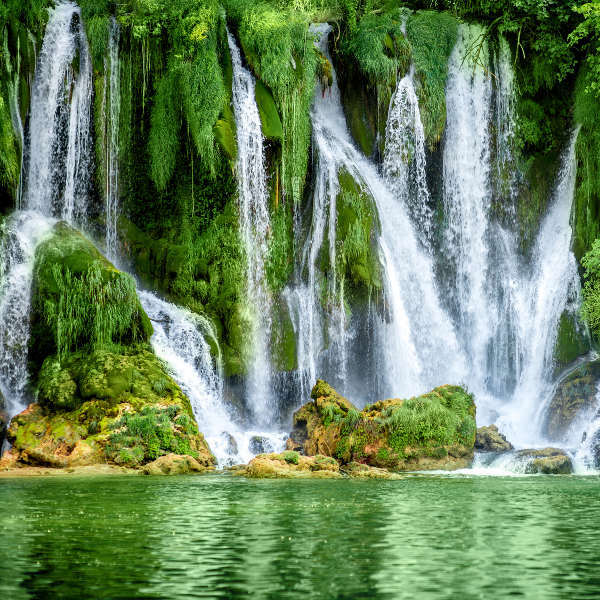 Bosnia boasts the most magnificent waterfalls to be gazed upon, it is truly a remarkable sight accompanied by the tranquil sounds of the cascading water. 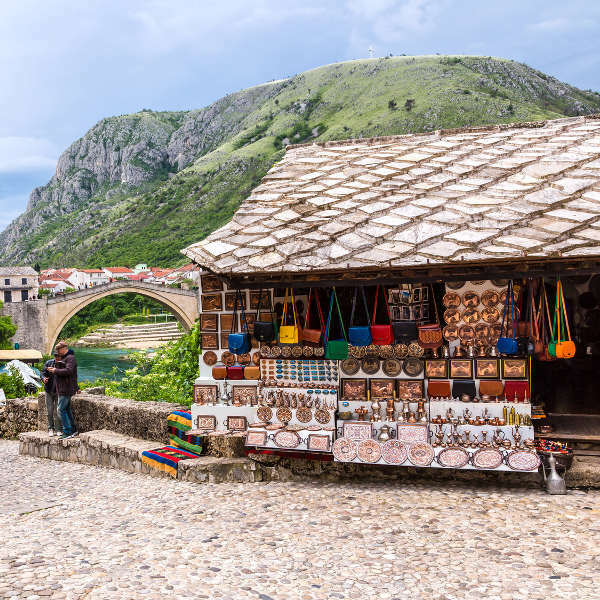 Located in the city of Mostar, lies the Kujundziluk (Old Bazaar), where visitors can shop for traditional crafts and street snacks. This historic place consists of intricate alleyways and pink-painted houses. Enjoy a blend of Middle Eastern and Mediterranean cuisine influences, with a strong Austrian touch as well, due to their years of rule over the country. 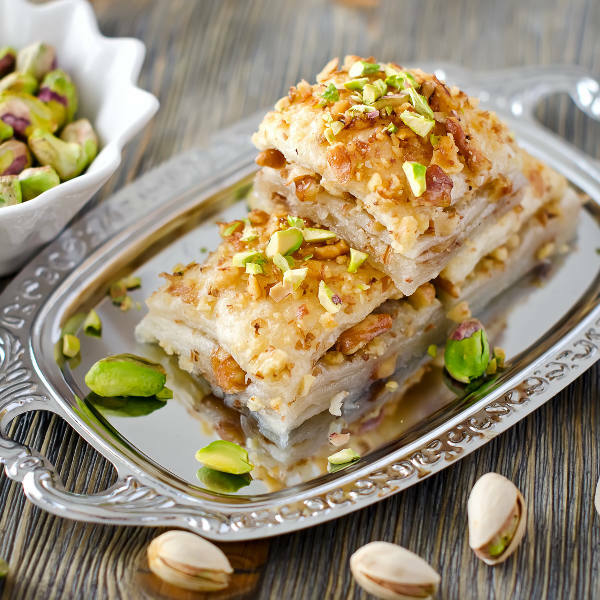 Traditional meals include burek, sahan, ražnjići and baklava. Bosnia has two distinct climates which is seen in summer and winter. Peak season is between mid-May and August, this is when the most crowds are present and prices are extremely high. The city of Mostar has a Mediterranean climate, while temperatures get colder and more continental in cities such as Sarajevo due to its altitude. Winter is extremely cold with beautiful snow to be encountered. Sarajevo has an average of 53 snow days per year, tourists should visit between October and April to experience the heart of the snow season. Ideally, spring and autumn is the best time to visit for pleasant weather conditions, it is also an amazing time to sight incredible natural attractions such as Skakavac (waterfall) in Sarajevo and Vrelo Bune in Mostar. Bosnia and Herzegovina lives up to the Balkan dream. Informally known as Bosnia, its offbeat nature is certainly one of its drawing cards as tourism is increasing. Stunning landscapes thrills all who frequent this miraculous region. Located on the Balkan Peninsula, Bosnia and Herzegovina possesses majestic natural attractions, including stunning mountains, rafting rivers, and several glorious waterfalls. Remnants of the Bosnian War still exist throughout the country, adding to its unique identity in the Balkan region, and making the journey more profound! This destination is ideal for outdoor fanatics, explore the countries natural attractions by river rafting. It is a great way to get your adrenaline pumping and basking in the magnitude of Bosnia’s spellbinding beauty. Sarajevo is the capital city which has been the grounds for many of Bosnia’s historic events. The city is home to a diverse range of religions, including Islam, Christianity and Judaism all with moving stories of their lives when the city was under siege. Sarajevo has contrasting imagery from dilapidated buildings to aesthetically charming mosques and natural wonders. Popular attractions include Baščaršija, Gazi Husrev Bey’s Mosque, Cathedral of Jesus’ Heart and Sarajevo Tunnel. Through your tour of the country, be sure to pay a visit to the profoundly beautiful city of Mostar. There are many incredible attractions to visit such as the *Stari Most which is a 16th-century Ottoman bridge, it demands your attention! Mostar will reward you with unrivalled natural beauty, incredible architecture and scrumptious cuisine. Brčko town is located in north-eastern Bosnia and Herzegovina, situated on the river Sava. It is surrounded by fertile fields orchard hills. If you stand along the Sava River, you will be able to see Croatia across the water. Compare several airlines and book your cheap flights to Bosnia online at Travelstart! All travellers going to Bosnia and Herzegovnia should be up-to-date with their routine immunisations. Tetanus, diphtheria, pertussis, measles, mumps, rubella and polio are amongst the vaccinations that should be updated if necessary. Travellers are also encouraged to obtain vaccinations for hepatitis A, hepatitis B and rabies.
. • Avoid stray dogs – attacks can occur in urban and rural areas. • Be cautious of pickpocketing and vehicle break-ins, especially in Sarajevo. • Do not carry large sums of money.